Gymnastics is not only one of the oldest sports, but it’s easily one of the most popular spectator sports. Since traditional and rhythmic gymnastics were identified as two separate sports, dramatic changes have occurred with competition gymnastic meets. Music, performances and – of course – gymnastic outfits. From traditional gymnastic workout leotards to more contemporary gymnastic biketards, today you see a wide range of competition fashion. The artistic elements have risen in the sport along with the acrobatic difficulty. Fortunately new technologies in design have allowed custom gymnastics competition leotards to keep pace ensuring athletes have a comfortably fitting leos. This serves to enhance the program through individual or team expression. A comfortable fit is as important in children’s gymnastics leotards as it is in gymnastics competition leotards. The new knitted fabrics used in custom dance biketards and gymnastic outfits have excellent breathability and elasticity. Out new designs in gymnastic competition leotards, long sleeve gymnastic leotards and in other sportswear encompass high contrast materials and rhinestones to make sure each athlete can express her image and character. We create a wide range of gymnastic clothing including traditional gymnastics leotards, biketards (hottards), unitards, shorts, bra, leggings, as well as custom items for acrobatics dance competitions and gymnastics championships. The Gymnastics Foil Sequin leotard was designed by Olga Sorkin for the collection 2014-2015. 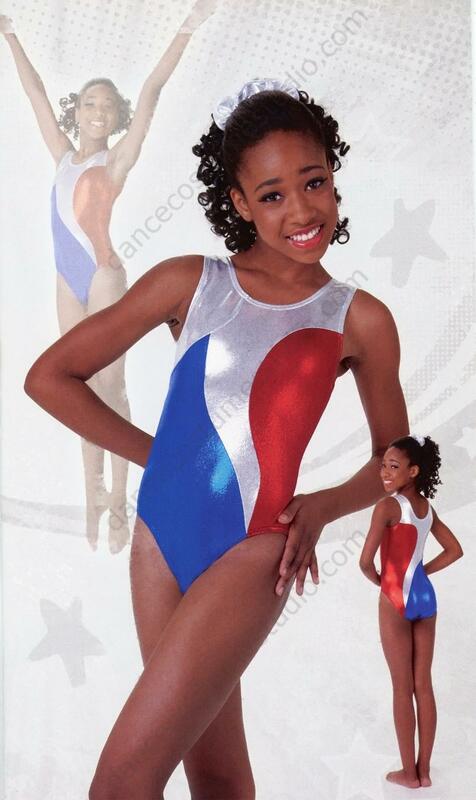 The tank leotard is made from foil spandex and sequin appliqué and can be used for gymnastics competitions or any kind acrobatic performing. The Pan American leotard was designed by Olga Sorkin for collection in 2012 as a gymnastics team leotard. The leotard sold successfully for two years. 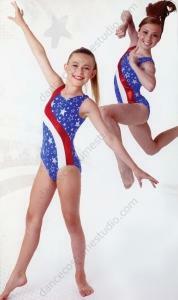 The leotard is made from spandex with a hologram silver stars print and red and white appliqué. The Springboard leotard was designed by Olga Sorkin for collection in 2014 as a competition team leotard which can be customized in specific team colors combinations. 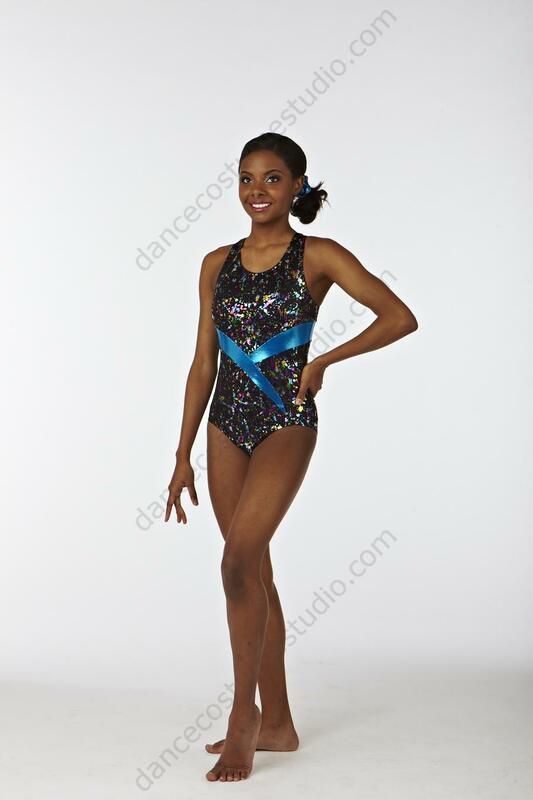 The Tank Leotard is made from foil spandex with silver and black foil spandex appliqué.